There are nearly 9.1 million women-owned businesses in the United States employing almost 7.9 million people and generating more than $1.4 trillion in revenues, according to, “The State of Women-owned Businesses Report,” by American Express OPEN. These numbers are growing as are the numbers of women enlisted in the military, female military spouses and the number of women veteran- and military spouse-owned small businesses. 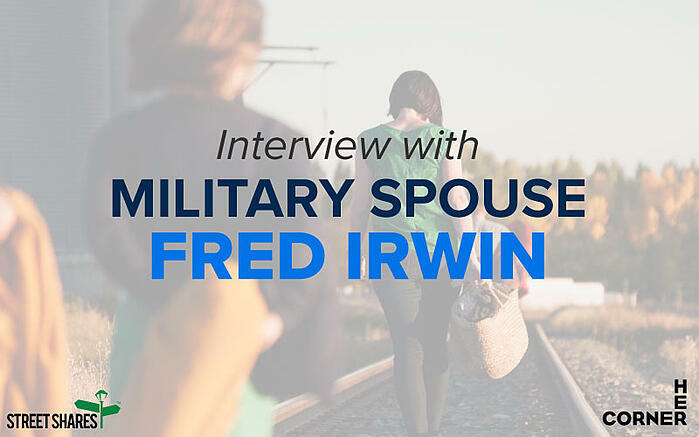 We had a chance to sit down with Frederique Irwin, Founder and CEO at Her Corner and former military spouse. Her Corner is a membership community of women business owners who collaborate to grow their businesses. Her Corner provides in-person educational programs and an online community of resources and support. 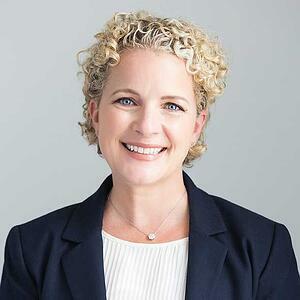 Frederique, or Fred, told us about her experience as a military spouse, how she started several businesses and is now running a very successful business accelerating growth for other women-owned businesses. SS: Why did you start Her Corner? Fred: I saw the need for Her Corner in my third business, which was a professional and consulting service. It was growing and scaling and that’s when I thought, “nobody was teaching digital marketing when I was in business school, so why not teach business owners about that?” I looked for peer groups, but a lot of them were mostly male. I found a lot of assumptions were being made. People were assuming that just because I had children, I wasn’t as serious about my company. It really made me highly irritated. If I was going to spend time out of my day to join a peer group, I wanted to be with others who were equally ambitious and driven, but who also didn’t pass judgement because I’m a woman or might have kids. I wanted to find other women near me who want to collaborate about our businesses. Here in Washington, DC, I found some really amazing women very quickly. That’s how the concept of Her Corner started. It wasn’t a business at first. It was just a structured way for us to come together, collaborate and talk about what was working or not working in our businesses. We built a set of criteria for participants. The business had to be your own brand – no resellers or realtors – you had to be in business for at least a year and you had to really want to grow. Now taking applicants from Military Spouse Business Owners for the May Veteran Small Business Award. SS: With the growing number of women business owners in the United States, what do you see as challenges women face in business? In the last decade, more women are starting businesses than men. But about 88 percent of women-owned businesses make less than $100,000 a year. It’s not that women aren’t motivated, I’ve never met a woman who doesn’t want to make more money. They’re very mission driven, so what’s going on? I found out after teaching entrepreneurship classes at American University, that they’re teaching students how to read term sheets, how to pitch your company and how to raise venture capital. However, today only 4 percent of venture-backed money goes to women-owned businesses. Women build businesses for different reasons. Most women don’t build a business to be sold in two years. She may be running a business that’s made only $300,000 for the first several years. Then, when her kids go off to college, she has more time and sees that her business could be a million dollar business. But, what many women feel is what I’ve seen in college students – most women feel they have to just do it themselves. It’s the five word kiss of death, “I’ll just do it myself.” That's what happens to women in business, they think, “It's up to me to figure out how to do this.” That's why we took the concept of the peer groups and tied it with an accelerator. We're not going to teach you how to raise money, we're going to teach you how to grow your business. SS: How do you see the five word kiss of death translating into other parts of business? Fred: This mindset translates over to the financial side of business. If you think about guys growing or launching a business, most guys have no problem either asking their friends or family for a business loan, going to a bank, using a credit card or even using a home equity loan. We don't see that translate with women. That has been part of the reason why I've been so thrilled about our relationship with StreetShares, because there haven’t been a whole lot of solutions for women. StreetShares is the best solution I've seen for women business owners. 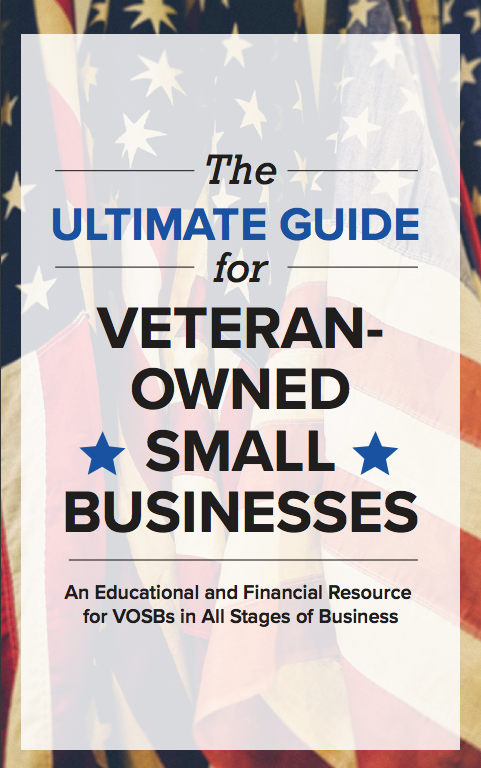 Download "The Ultimate Guide for Women-owned Businesses in the Military Community." When you combine those three things, you find an individual business owner who is not naturally inclined to get a small business loan. But what are her options if she actually wants to get some capital to grow her business? Obviously, venture capitalists are not a great option. A traditional bank won’t talk to you unless you have at least two years of financial records or more than $250,000 in the bank. But because women build businesses differently, they don’t necessarily need a $250,000 business loan. They may want $50,000 or $20,000. They may want a smaller amount because they’re a little more risk averse. The reason StreetShares is so incredibly appealing is, you don't have to have two years of financials and you can get a small business loan much more quickly than if you're going through the relationship process with a bank. You can get a women or veteran business loan for as small as $2,000 or a line of credit up to $100,000. It gives women and veteran small business owners a way to try out the concept of reinvesting in their business, in amounts that feel much less intimidating than a quarter million dollars. SS: What was being a military spouse like and did that influence you at all with any business or professional decisions you made? Fred: I didn’t grow up in a family of military service members, so I didn’t have that background. But I was amazed and impressed by all of the people I met in the military. Military families dedicate their lives and make enormous sacrifices, leaving family behind and having to pick up everything and relocate. However, I felt like I was on the Price is Right because we had to pack our bags and move about every two years. It created a high amount of anxiety for me, professionally. Where am I going to go? What am I going to do? That was the most challenging thing for me. If you’re a military spouse and see a need for a business and start it, that’s amazing. However, if you’ve just landing in a whole new city, the traditional ways for you to get access to capital require relationships. You have to have relationships with the bank or with friends and family if you’re going to ask them for money. So, that’s why StreetShares is an amazing resource. A military spouse business may be in New Mexico or a place where they don’t have a relationship with the local brand manager. With StreetShares, you can move much more quickly. SS: What else would you add or advise to women business owners? 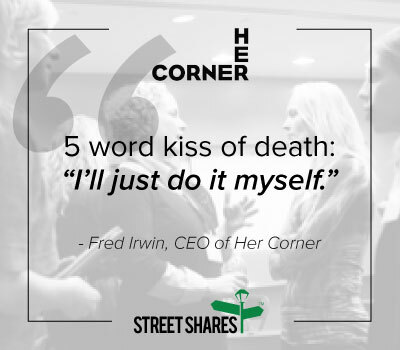 Fred: If you’re a women business owner, veteran or military spouse business owner just hearing about StreetShares and think this is something you should consider, my biggest piece of advice is to call StreetShares. Ask them to tell you a story of another woman business owner or visit stories on their blog. It doesn’t have to be a business in the same industry. I think, as women, we need those stories to understand the shift in behavior. We have to change our mindset from assuming we’re not going to get a business loan to seeing that it’s possible with companies like StreetShares. Everybody at StreetShares is so nice and transparent and will let you know what they can or can’t do for your small business. At StreetShares, our goal is to be as transparent as possible. Our team will be honest with you when applying for a loan, line of credit or contract financing. We strive to give you the best resources possible to help you succeed in your small business. We’ve put together a guide for military spouse business owners to help them navigate the terrain of building a business as not only a woman, but a special group of women who go through similar obstacles throughout life, personally and professionally. “The Ultimate Guide for Women-owned Businesses in the Military Community,” was developed with our partners, Her Corner and DropZone for Veterans, an online directory of high-impact veteran and military community benefits. Our most recent guide presents dozens of resources and steps to get started with a small business and how to grow, all in one place. Download it now.